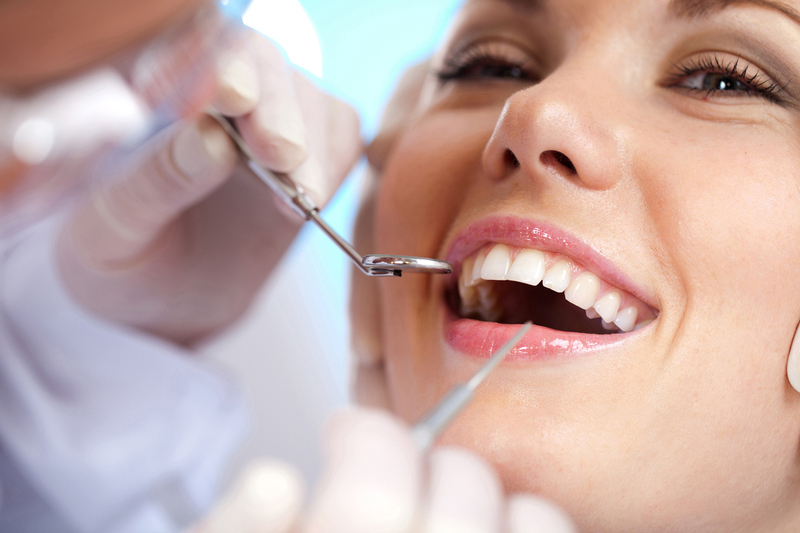 Dental bridges in Etobicoke are a commonly performed procedure. For people with missing teeth, a dental bridge can give their mouths a more natural appearance. Bridges are dental appliances that can fill in gaps in your smile. Dental bridges can be placed by a cosmetic dentist or general dentists. With a dental bridge, people who have gaps in their smile—which can also cause other problems like difficulty chewing or uncomfortable strain on teeth—can correct their problem. However, there are some problems that can occur with dental bridges, especially when they are not taken care of properly. There are some problems that are known to occur with dental bridges. Bridges are supposed to be a solution that will last for decades. However, if the dental bridge is not well-constructed, if the procedure is not performed properly, or if proper dental care isn’t followed, then the bridge can actually fall out. This is actually one of the more common problems with bridges as there are a lot of potential causes for it. Porcelain fractures are another common problem. A “cracked bridge” occurs when there is a break in the porcelain of a bridge. If not taken care of, this break can cause further cracks and damage to the bridge. These cracks can also cause lesions or discomfort in the mouth if they are rough. When there is space between a dental bridge and the trimmed tooth underneath, this can raise the risk of tooth decay, gum disease, and other dental problems. These gaps allow food to be caught underneath the bridge that is not removed by regular cleaning. This can then lead to decay. When a dental bridge isn’t the correct size, there are a number of problems that can arise, including discomfort in the mouth, irritation of the cheeks, and a higher risk of tooth decay and gum disease. Dental bridges need to be sized appropriately. If they are too big or too small, then problems can occur. Dental bridges are meant to fill in multiple missing teeth, but when a large number of teeth are missing, it can be more difficult for a dentist to use bridges to correct the problem. In these cases, dentists have to make specialized bridges with multiple dental crowns. If teeth are missing throughout the mouth, then using bridges may not be possible in some situations. If dental bridges are taken care of properly, then there are few issues that should arise. However, there are different types of dental bridges, and the proper care for each one depends on the type. Fixed dental bridges are what are typically thought of when referring to bridges. These dental bridges are permanent and meant to last for decades. Like regular teeth, they need to be treated with proper oral hygiene and dental care techniques. Just like with your natural teeth, it’s important to regularly brush dental bridges, removing stuck food that can lead to bad odour, tooth decay, and gum disease. Flossing is also important for people with bridges, especially to remove trapped food and bacteria from around the crowns. A water flosser can be effective for use around the bridge and gum line. With dental bridges, it’s important to prevent tooth decay, particularly underneath the anchoring crowns. Eating a healthy diet and minimizing sugar intake can lower the risk of tooth decay. With or without bridges, it’s important to visit your dentist twice every year or more frequently if indicated for a regular inspection. Your dentist will be able to determine if there are any issues arising with your bridges. There are also removable dental bridges that are not fixed and can be taken out of the mouth. While these are typically not as popular or effective, you and your dentist may decide that they are the best option for your specific circumstances. Special care needs to be taken with these removable bridges. When brushing your teeth, it’s important to use a gentle, soft-bristled brush that won’t damage the bridges. It is recommended to use a toothbrush for dentures, which can also be effective for use with bridges. With a removable bridge, you can clean it by rinsing it with cool water. Be careful, because hot water can actually damage or warp the bridge. Do not chew hard foods while wearing removable dental bridges as these could actually damage the crowns or bridge. Foods like hard candies, nuts, and hard bread should be avoided. With removable bridges, it is important to see your dentist regularly. As these bridges are more susceptible to damage than fixed bridges, it’s crucial for a dentist to be able to check for any issues that are arising. Princeview Dental has been a fixture of The Kingsway area in Etobicoke for over 20 years. We’ve provided dedicated family care in a professional, welcoming, and modern environment. Please call us today at (416) 231-4562.